"Amazing views of Zion. Live in one house for free while renting out the other to make payments. One of a kind property. 1 Lot with 2 separate homes. 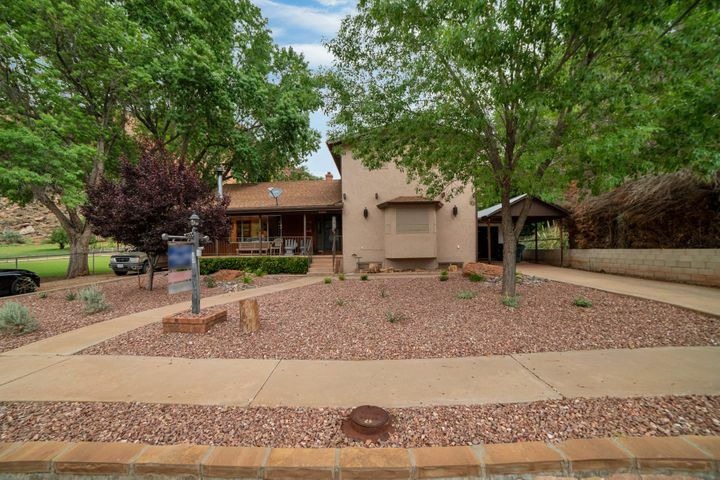 Property has fully remodeled 5 bedroom 3 bath main home AND a 4,000+ square foot 5 bedroom 4 bathroom second home. Separate culinary water and sewer connections. Rent grandfathered guest house separately to pay for the investment." 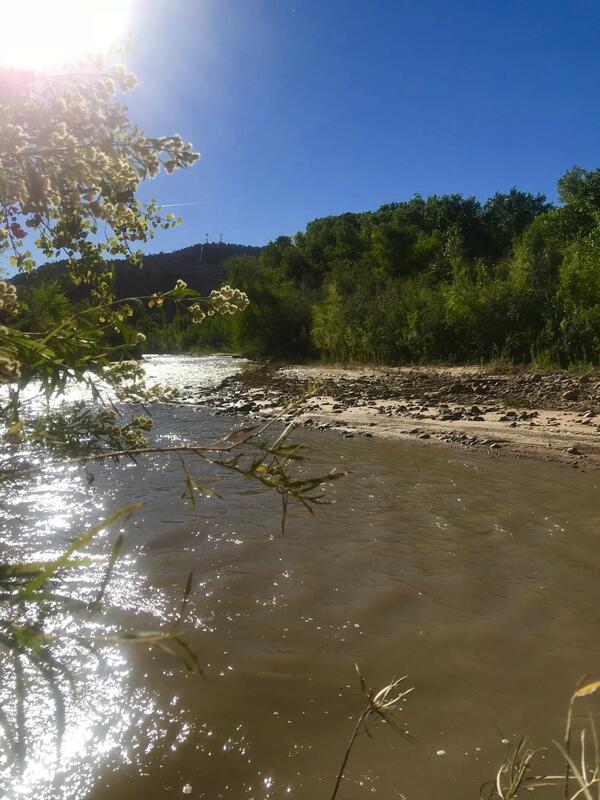 "CORPORATE or FAMILY RETREAT along the Virgin River with amazing privacy, lush vegetation, and Zion Views. Great room opens to salt water pool & patio, as well as the kitchen, making it a great space for entertaining. 4 en-suite bedrooms plus an office. Theater game room & exercise room on lower level stays cool. Upper bedroom features 2nd kitchen and wrap around deck with inspiring views. 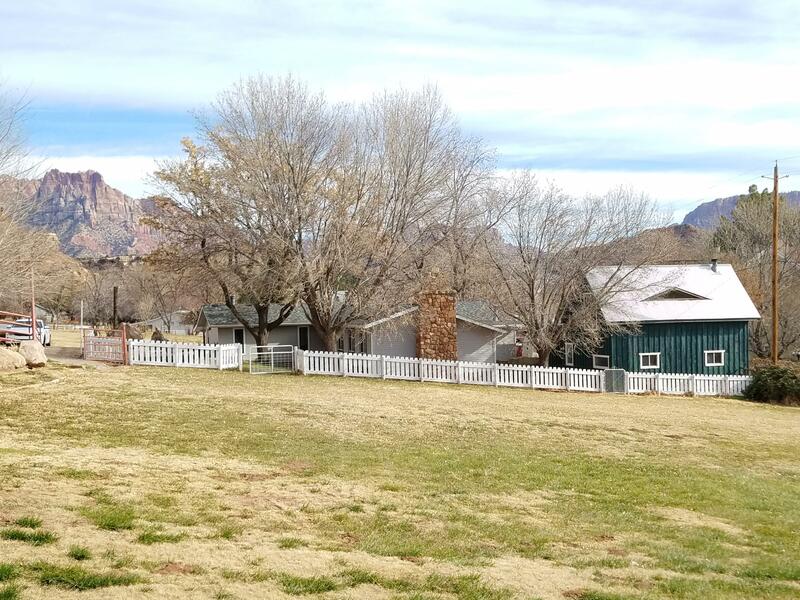 (more)"
"Beautiful, Country living 10 minutes from the entrance to pristine Zion National Park. Relax and Enjoy the towering Red Cliffs from your back patio. This home features 6 bedrooms and 3.5 bathrooms with plenty of room to play on .99 acres. Bring all reasonable offers! There are 2 tax parcels for the land R-1215-B/R-1215-A. Square footage from clients appraisal. Buyer to verify all information." 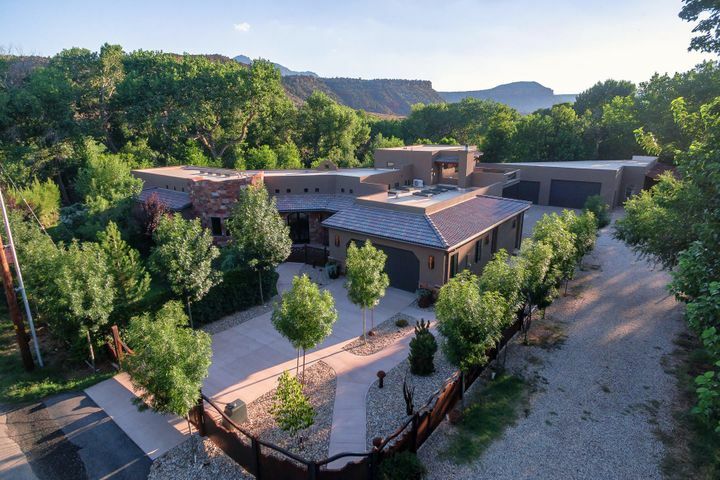 "Enjoy the peaceful living w/views of ZNP & sounds of the Virgin River from your 720 sq/ft deck, or covered patio w/outdoor fireplace & built in kitchen. 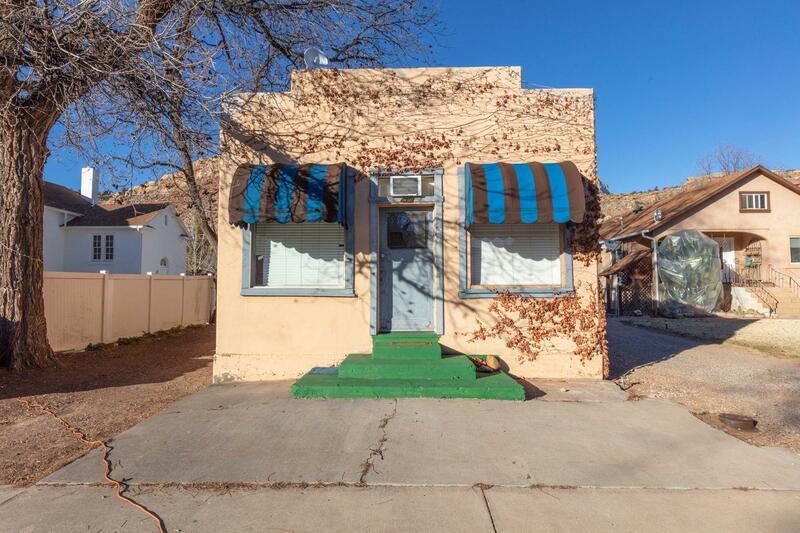 Artist loft, Custom cabinets w/roll outs, XL yard w/2.5 shares irrigation water & a chicken coop. Tons of storage in a 450 sq/ft loft above the garage. 2 PARCELS BEING SOLD TOGETHER. See document section.2nd parcel:R-1209-B-1 *Buyer to verify inf"
"Own your own slice of Paradise! This picturesque horse property can be yours! minutes from Zion Nat'l Park. Clean air & mountain views. 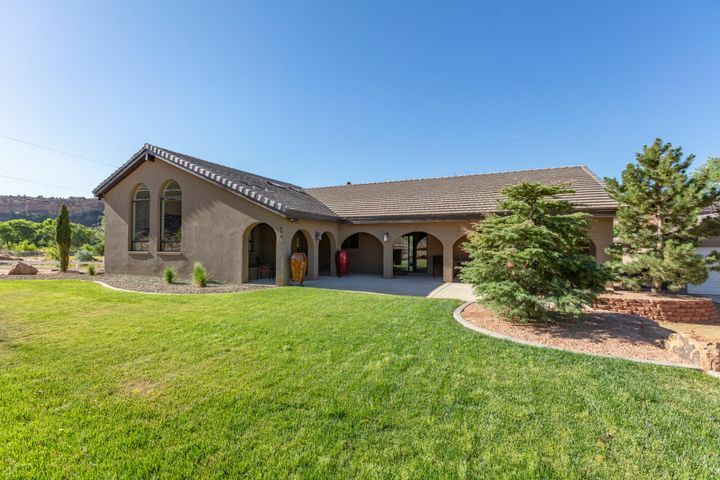 Ranch house, barn, tack room, chicken coop, garden spot, pasture, water shares, large yard, 3 car garage (part can easily be converted to casita.) Remodeled kitchen includes new SS appliances, granite counters, farm sink. New paint & carpet. Available to rent"